An angry stray cat goes out of its way to defend its territory against men and dogs, but is entirely chill when it comes to women and children. 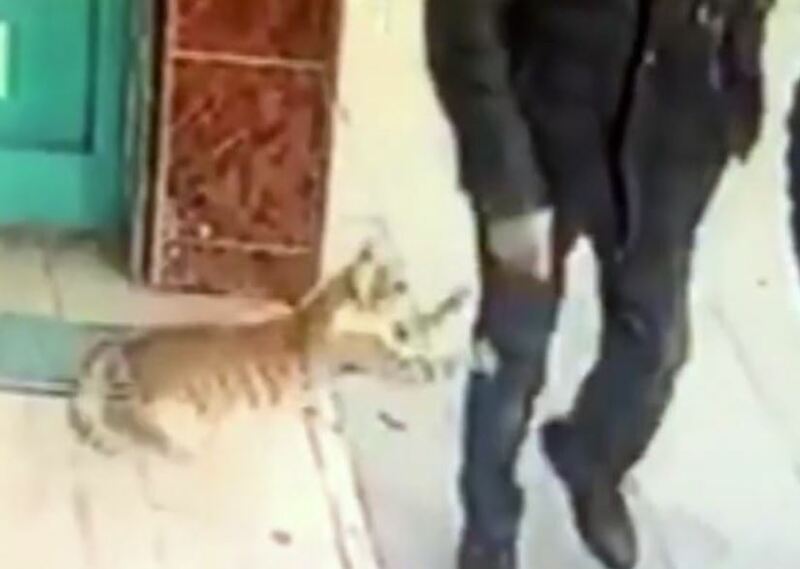 CCTV cameras have repeatedly captured images of the defensive feline standing guard outside a market in the Bayrampasa area of Istanbul, Turkey. Locals who look after the kitty have claimed it’s usually quite a calm animal, but recently the cat has taken to throwing itself at men and dogs who pass by the steps of the market. It’s not that unusual for cats to stand their ground when a dog comes sniffing around – my cat certainly showed our dog who was boss when she arrived in the house – but it’s funny to see the stray form a bias against humans. 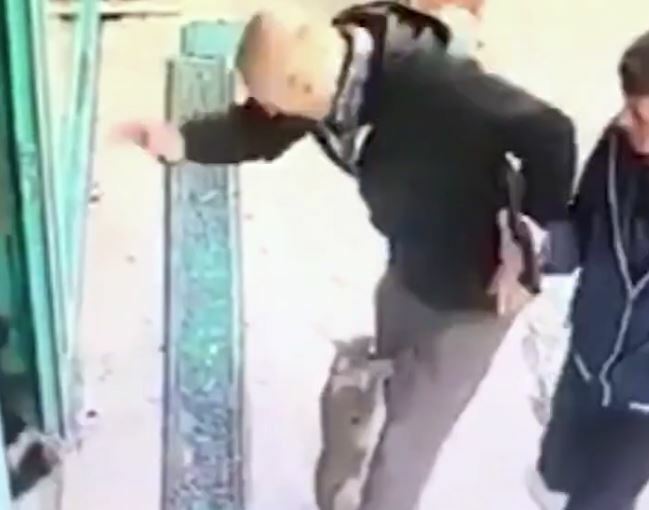 Footage of the cat shows it launching painful-looking attacks at passing men, pouncing unexpectedly and digging its claws into their leg. Understandably, the men react with surprise and attempt to dislodge the angry feline, before making a hasty escape. One brilliant moment saw the cat sit idly as a woman walks past, then freaking out on the two men who follow immediately behind her. 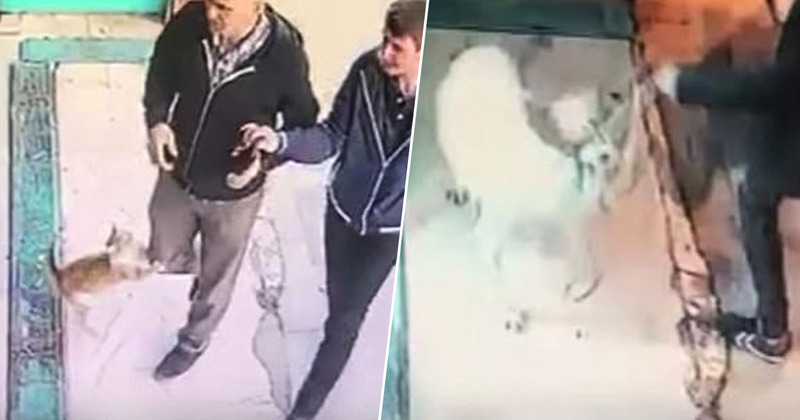 A couple of innocent dogs also experienced the wrath of the ferocious feline as it chased them down and appeared to jump on their backs in a full-on attack, and though the male owners attempted to protect their pups, the cat didn’t give up easily and unleashed its claws on the humans, as well. The cat’s carers took it to the vet to try to figure out why it had taken such an aggressive turn, but it’s not clear whether they came up with an explanation. According to neighbour Ali Aydin, the cat had recently given birth to kittens, suggesting it attacked to defend the babies from perceived threats. Supposedly, the feline trusts women and children to treat its offspring with respect, but doesn’t want any mean men to get too close, possibly because of a bad previous experience? This is not a wild cat, she’s used to people. She crosses here every day, taking food to her kittens, we leave the door open for her. The cat is used to that spot. It’s not an aggressive cat but due to her kittens she is attacking. It’s a very good cat actually. Maybe somebody has hurt her? I’ve seen several people kicking it. It usually attacks only males and dogs. Maybe it’s had some traumas. While men and dogs have pulled the short straw around this particular cat, at least the kittens know they’re in safe hands (or paws) with their protective mother!